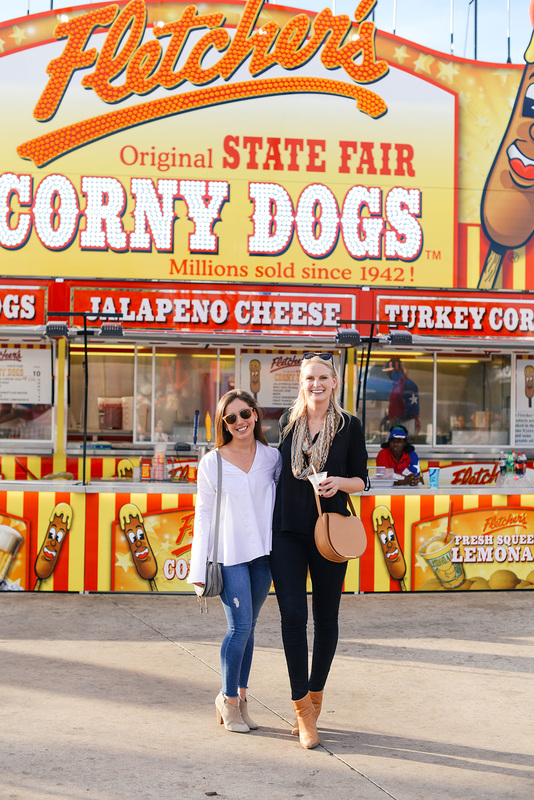 Going to the Texas State Fair is something I’ve loved doing since at least high school. Really ever since I started going to the Texas/OU game with my family, which could’ve been earlier than that! I honestly can’t remember at this point. While the game is certainly always fun, it’s the fair I look forward to most! I’m a scaredy-cat, so I don’t do a lot of the rides, but you can bet your bottom dollar I try every fried food and delicious, decadent creation they come up with each year. 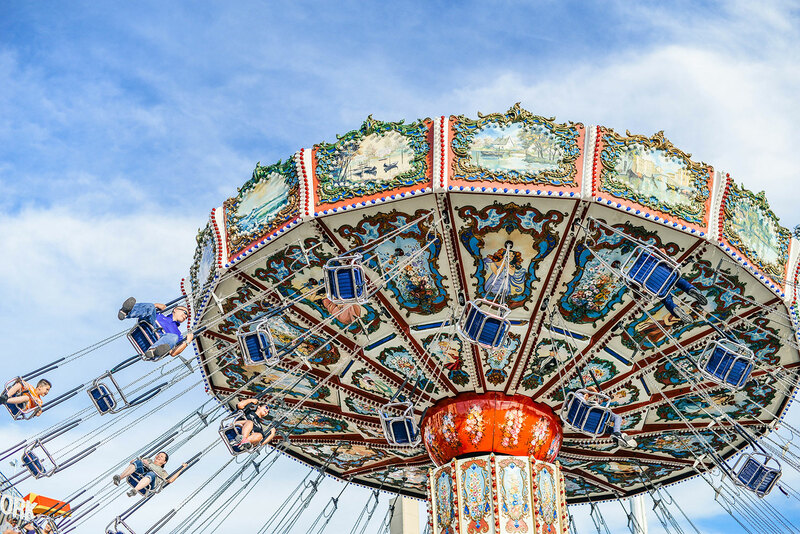 If you’re ever in town when the fair is going on, carve out a weekend afternoon for a few hours of fairground fun. If you love a good corny-dog, Fletcher’s is not to be missed. 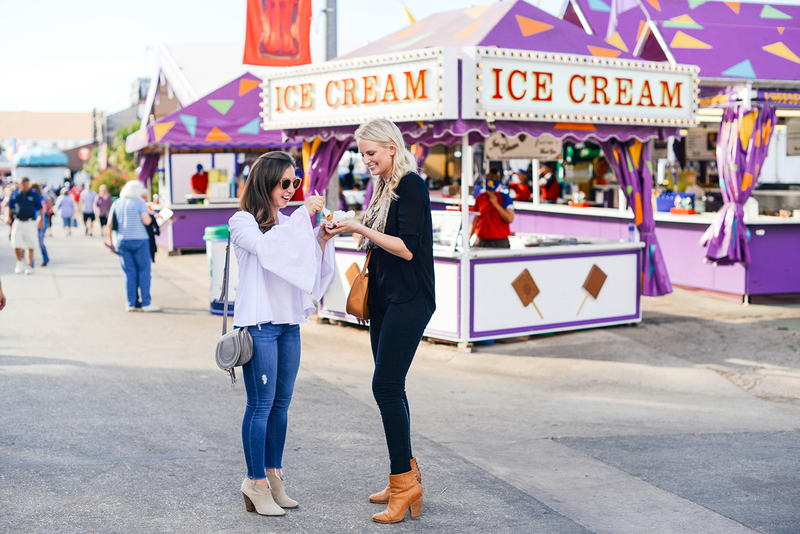 There are several locations around the fairgrounds, so it’s easily accessible no matter what part of the fair you’re exploring! If I get my fill of corny dogs, I always enjoy a turkey leg. So savory, salty and delish! As far as sweets go, my favorite thing to get is an order of fried Oreos. So, so good!!! 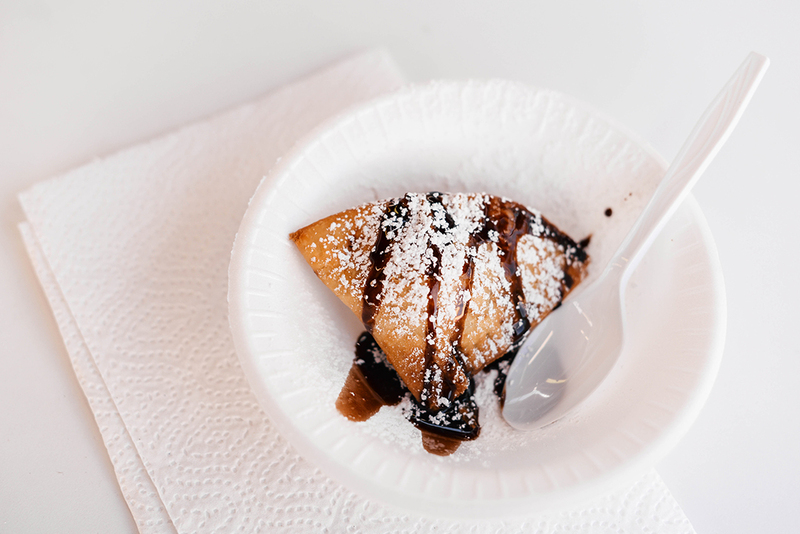 I’d also recommend the fried PB&J, the fried Pumpkin Pie and fried Snickers. I ordered the fried Reeses this time, but felt like there should have been more than one Reeses patty in the dough – not enough flavor! I’ve also ordered fried brownies and fried cake balls, but those were too dense for my liking. If you’ve had enough fried food, there’s always Dip ‘n Dots! 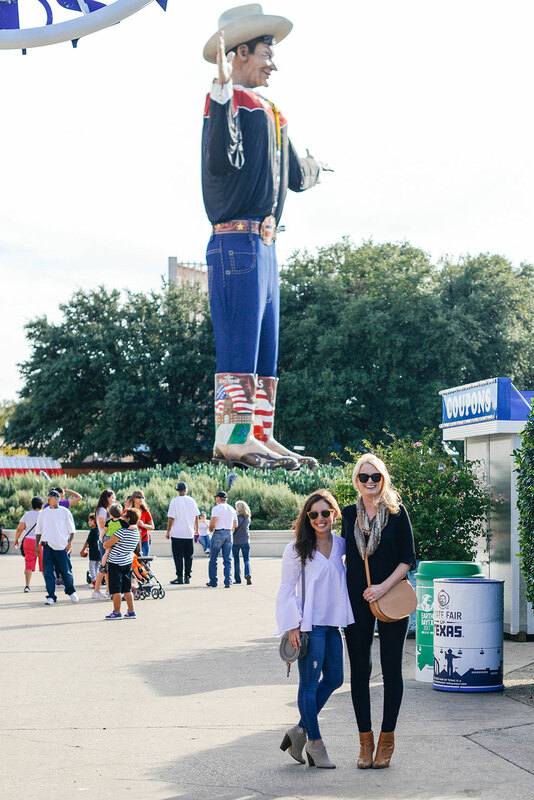 This trip to the fair was with my friend Ali and intern Allison! It was SO HOT. You may be able to tell in the last photo… I was so sweaty by the end of the trip! I could’ve worn shorts and a tank top and still been too hot. I’m glad we went though, because I had more time to try a few new treats that I didn’t have a chance to the day of the game! 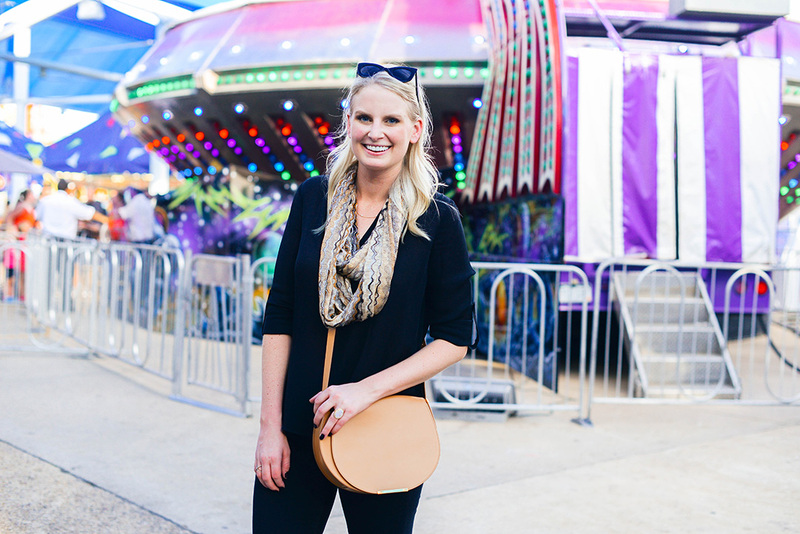 looks like such a fun day, loving that crossbody. This is so nostalgic for me! I went to OU and loved getting to go down for the game while in school and attend the fair. The corn dogs and fried oreos are the best!! Omg so fun! Love the photos. The state fair is the best! How fun!! I love state fairs! My husband and I like to go to the Iowa one even though we live in Nebraska. 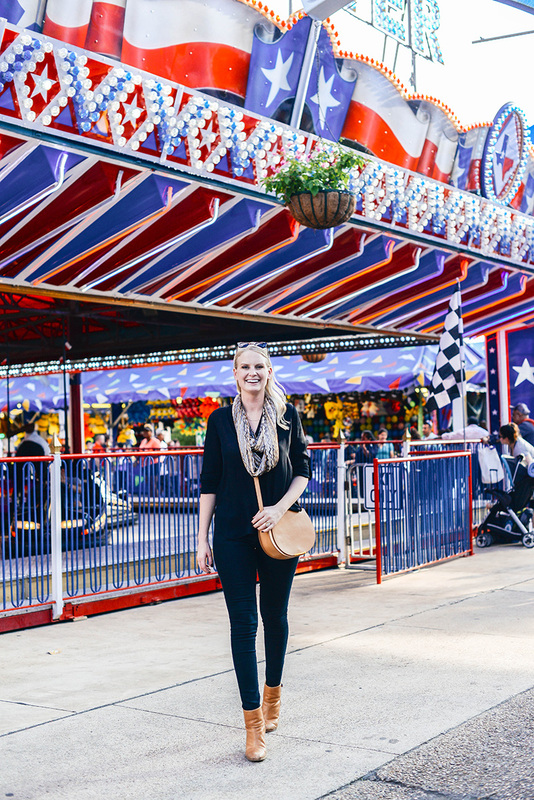 Love a good county fair and i almost always get a turkey leg and candy apple…my favorites! Love your scarf!! 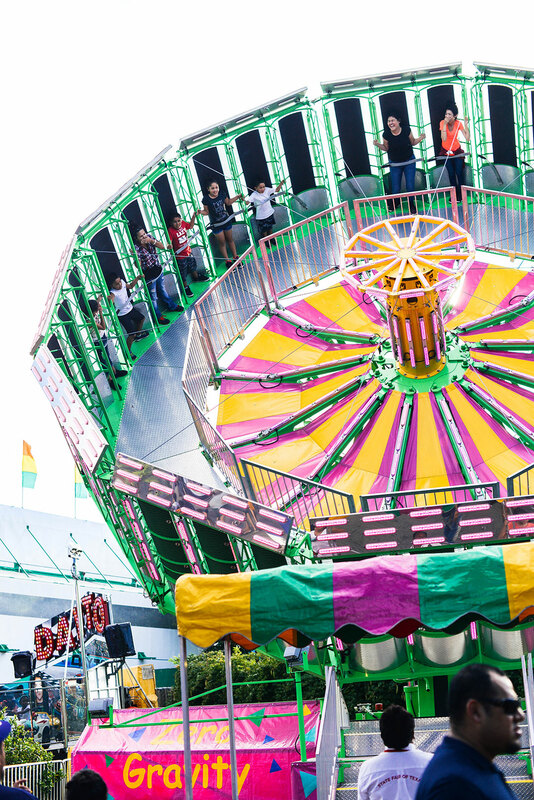 This fair looks like so much fun! And I love your treats as well! Yummy! 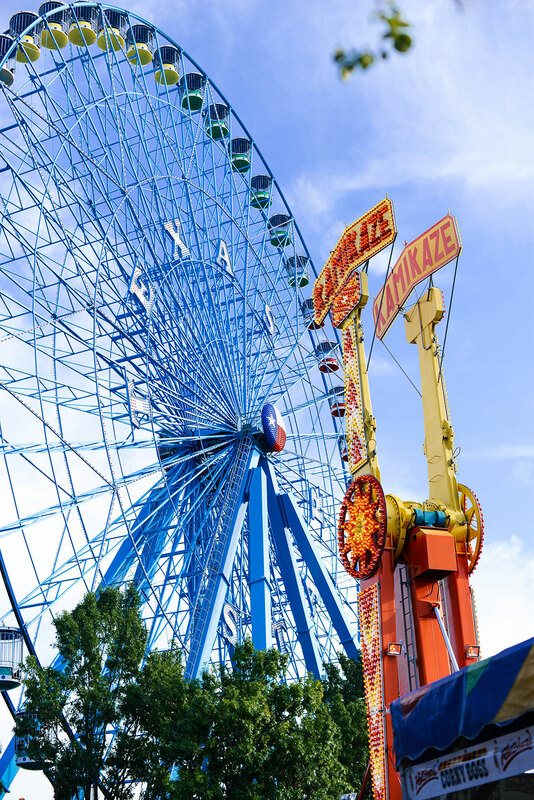 Confession: I’ve never been to the Texas State Fair. GASP. Cute look! Loving your outfit! How fun! No, I can’t tell you are melting in the photo. You look totally put together as always, and delightfully tall & lean. Love it that cross body bag too!